How do you benefit from it? Kids are safer to use it compared to a real knife. A knife has a pointy tip and is dangerous to be used by small children. The blades of apple corer slicer is, however, surrounded and protected by a stainless steel ring, only the fruit you put inside is cut, which reduces the risk of hurting your hands while cutting. You can use it easily. Most probably you might figure out how to use this apple corer slicer without any user manual. Just push it down an apple and voila, apple turning into pieces! You can save your time and energy. Cutting fruits using conventional way involves multiple cuts and does not remove the core of the fruit. Some people use apple corer to remove the core and slices the fruit later on. 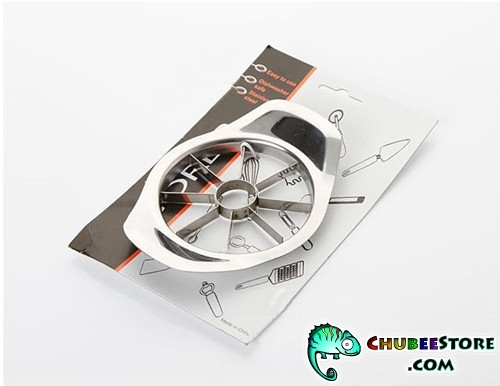 Apple corer slicer combines all these into only one single move, just push it down and everything is done. Fast, simple and easy, especially useful since you probably need to eat an apple everyday for a healthy lifestyle. You can use it for a long time without getting rusty. 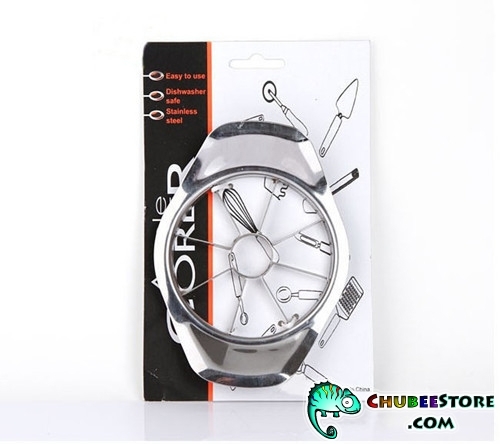 The handle and the blades are made of stainless steel metal. 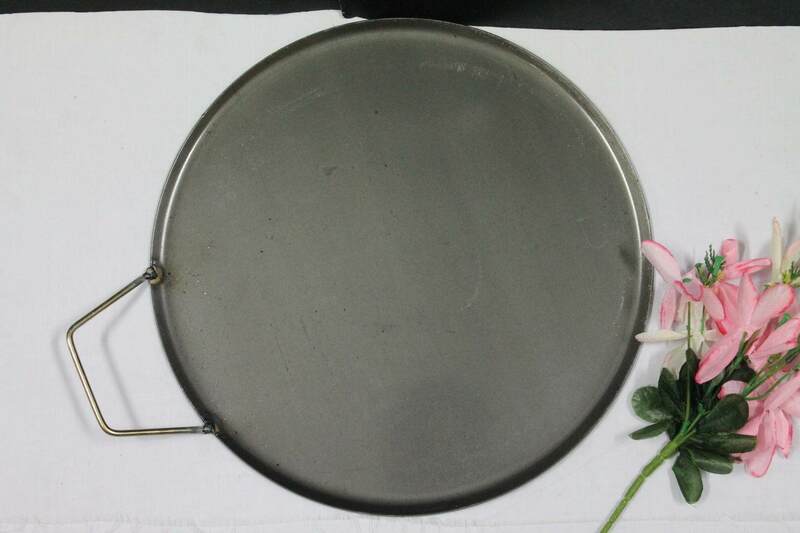 Stainless steel material is more durable and protected against getting rusty through time. Apple corer slicer is designed as all-in-one tool that you may use every day to cut an apple. It combines the functions of a corer and a slicer to cut an apple in only one single motion. Just push it down an apple and you will see the apple slices bloom beautifully like a flower. 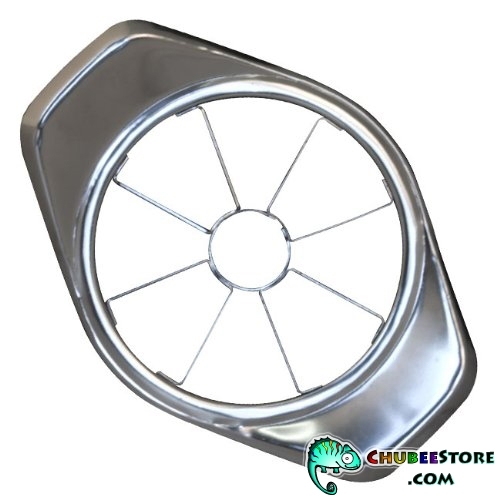 There are 4 pairs or 8 pieces of thickened straight blades with a circular one in the centre. The blades are made of high quality stainless steel to avoid getting rusty through time. The blades are evenly spread out so that an apple can be cut evenly in to 8 small pieces, with the core ready to be removed. Compared to a corer, apple corer slicer has more functions and combines both the functions of a corer and a slicer. A corer removes only the core of a fruit but a corer slicer also slices the fruit into 8 even pieces at the same time. Easy and convenient! 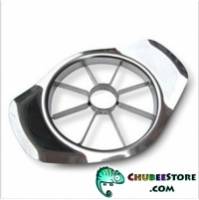 This apple corer slicer is designed ergonomically to be operated without difficulty. There are certain models in the market which does not have proper handles. 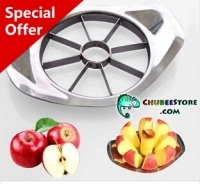 Our apple corer slicer has handles and they are slightly lifted from the blades to leave some spaces for your hands after pressing all the way down to the bottom. This is important because apple is considered hard fruit and slightly more force is required to cut open an apple, so you need proper handles for this. Position it on your apple, with the circle aiming at the apple core. Press it all the way down using the handles. Serve the apple in nicely cut 8 pieces. Note: This tool is specially made to cut apple, and might be use to cut similar fruit as well, such as a pear, if its shape is similar to an apple. It is not recommended to cut an irregular shaped pear with this. Q: How much does my shipping cost? A: The shipping cost is calculated automatically based on the location of your shipping address and the product weight /dimension. To find out how much shipping costs, add the products that you would like to buy to your shopping cart and proceed to checkout. The shipping cost will be calculated automatically after you have entered your shipping address. Enjoy FREE shipping if you purchase more than RM100 in ONE single purchase order. Free shipping is applicable to delivery within Malaysia including Peninsular, Sabah, Sarawak & Labuan. Q: What courier service do you use? A: We may send out your purchased item using Poslaju or GDex at our decision. Q: Do you ship to my area? A: We are currently delivering to all locations in Malaysia, including Peninsular, Sabah, Sarawak & Labuan. For international shipping, please kindly contact our sales team via sales@chubeestore.com to arrange for a delivery. A: Under normal circumstances, you will receive your order within 5 business days (7 business days for East Malaysia) starting from the day your payment is received by us. We will always strive to send out your purchased item quickest possible within the same day the payment is confirmed, if not, then the next day. The time needed for the delivery is depending on the distance to your shipping location and its availability. For offline bank transfer, please allow additional 3 business days for us to process your payment. Q: Can I track my shipping? Note: Sometimes the tracking number is not working yet because your purchased item has just been shipped. It will take some time for courier service company to update your tracking number in their system. Try to check again in 24 hours and the information should be available. Q: What if I do not received my purchased item after a long time? A: Please allow at least one week for the delivery process. We will always send out your purchased item immediately after your payment is confirmed, and use the fastest and most reliable courier service to send it out. However, something might have gone wrong if you still have not received your purchased item within 8 business days after you had placed your order and made your payment. Check your order status. If your order status is ‘not shipped’ even though you had made your payment, contact us instantly. If your order status is ‘shipped’, please check carefully whether you had filled out your shipping address correctly. Sometimes a small mistake will cause a delay in delivery. If your shipping address is correct, track your shipping status using the tracking number given to you to find out where your purchased items are.